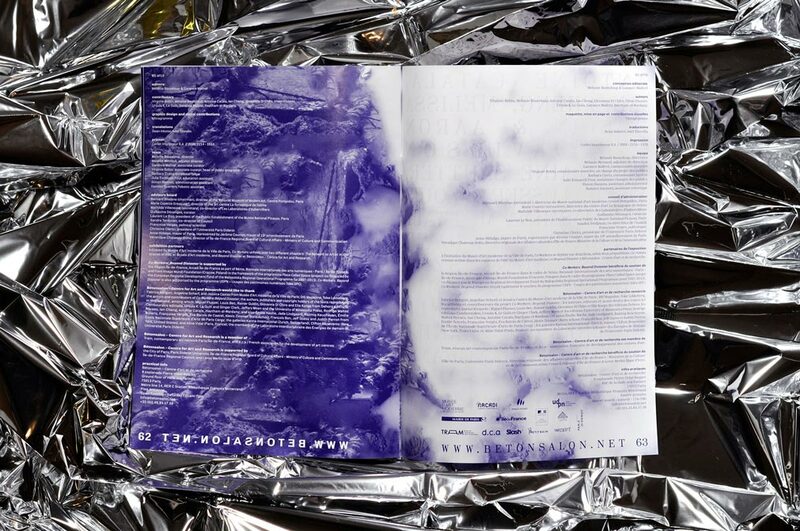 Bétonsalon – Center for Art and Research works at the con­flu­ence of art and uni­ver­sity research with the ambi­tion to ques­tion nor­malised forms of pro­duc­tion, clas­si­fi­ca­tion and dis­tri­bu­tion of knowl­edge. 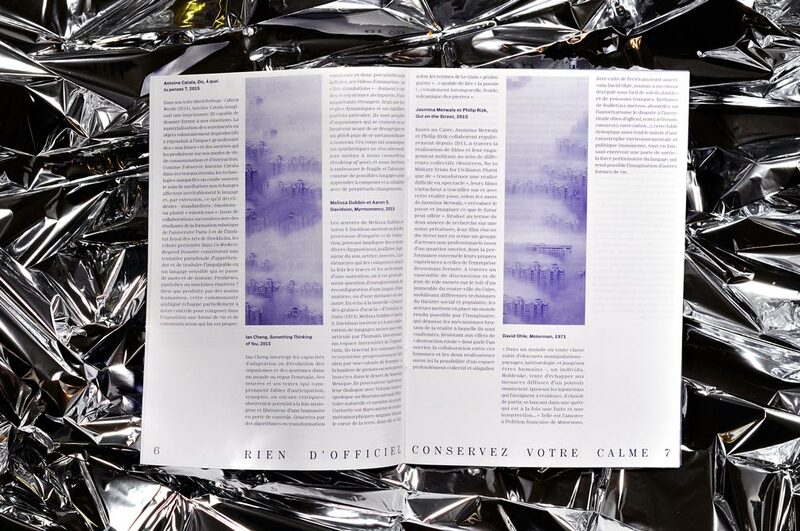 Curators Mélanie Bouteloup and Garance Malivel asked us to create images, flyers and the BS n°19 publication documenting the exhibition Co-workers : Beyond Disaster. 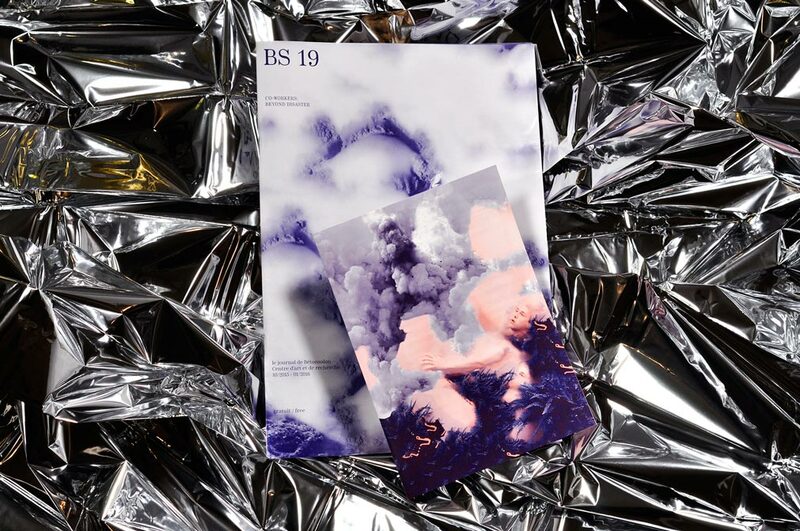 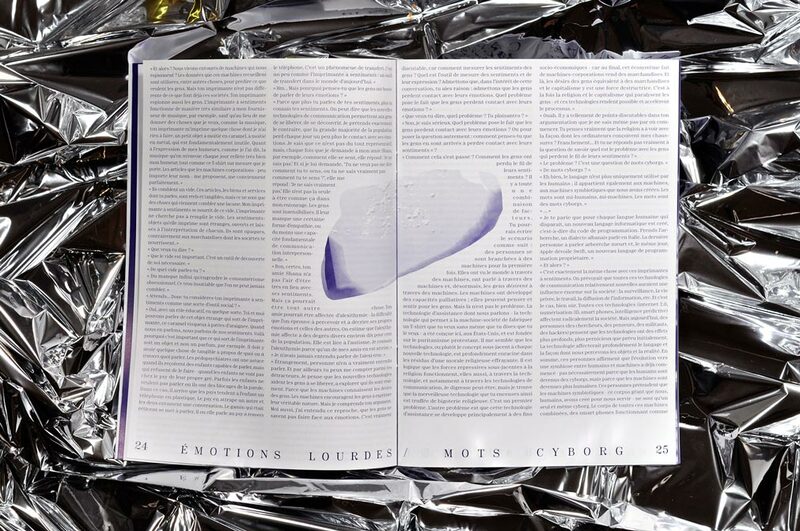 designed like a post apocalyptic publication, BS n°19 is entirely monochromatic. 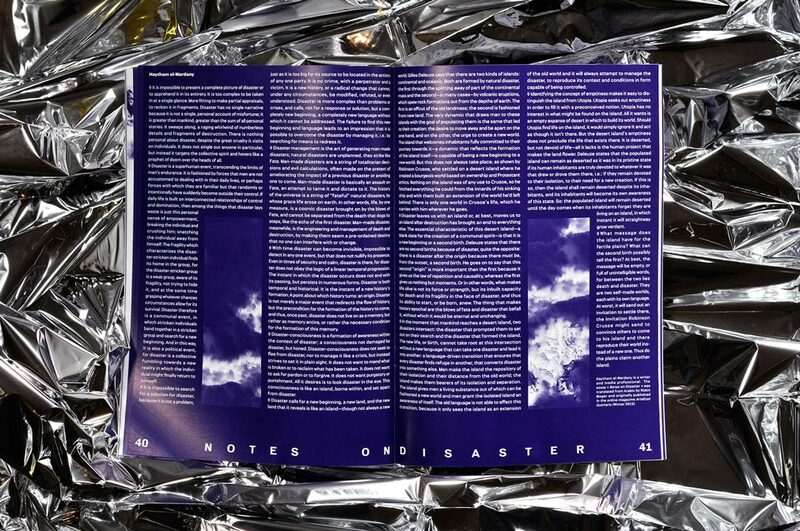 It is composed of densely arranged columns of texts with very narrow margins. 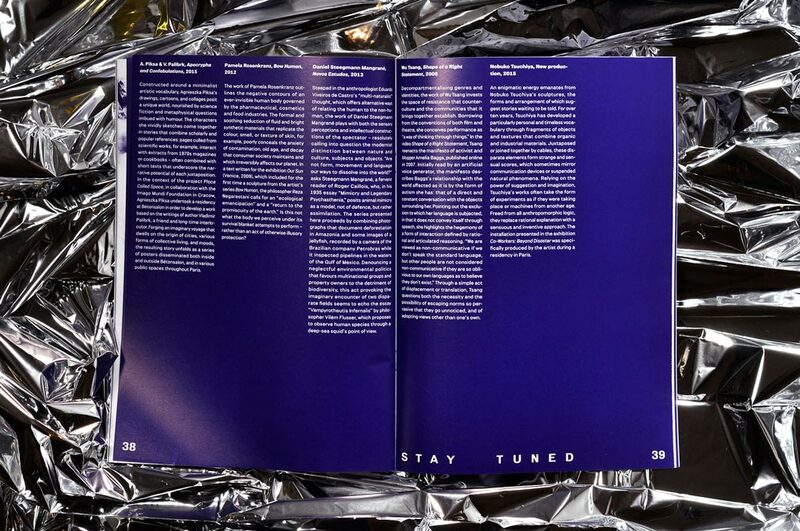 The rules of the layout are evolving between the pages. 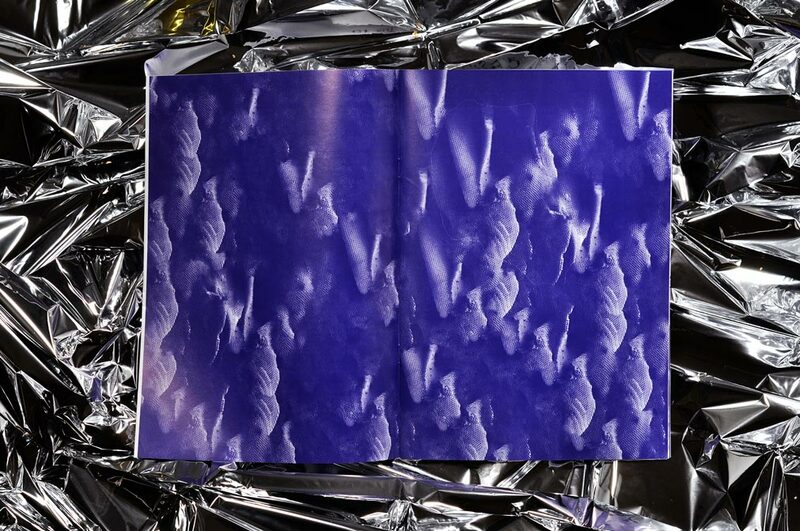 The columns are distorted by images in changing shapes we specifically created for the publication. 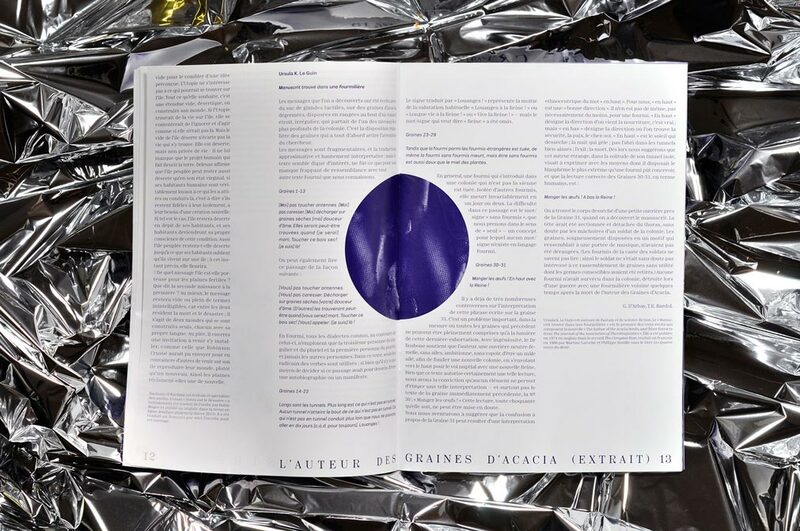 We created for Bétonsalon images in changing shapes that interfere with the columns of text. 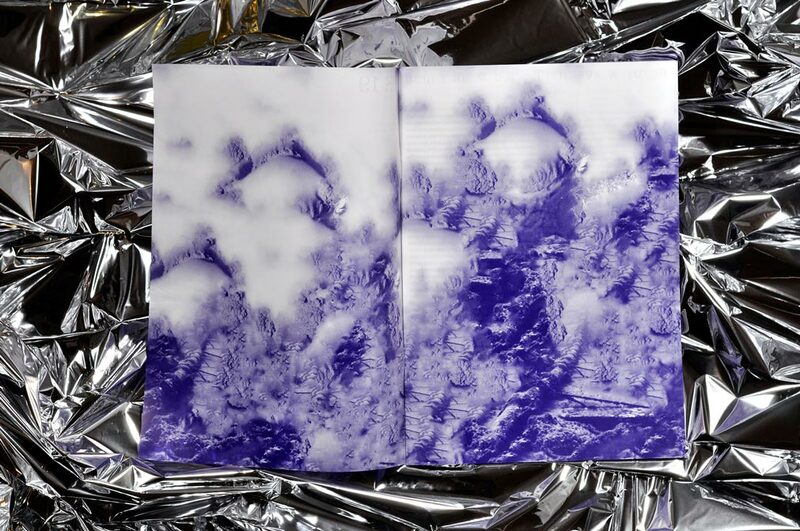 In those you can see, sometimes spread on multiple consecutive pages, strange landscapes, submarine eruptions, giant beehives, ghost-like cities emerging from opaque clouds etc. 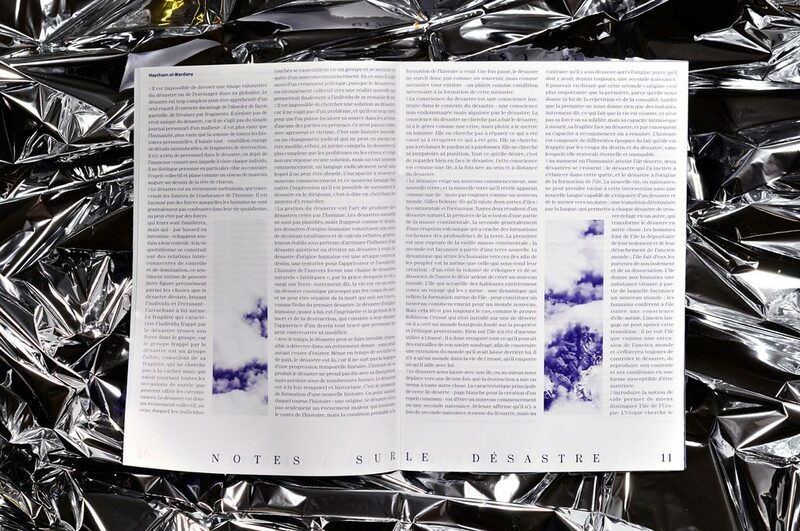 With fully bilingual text, in french and english, BS n°19 is cut in two halves that are each other’s perfect negative. 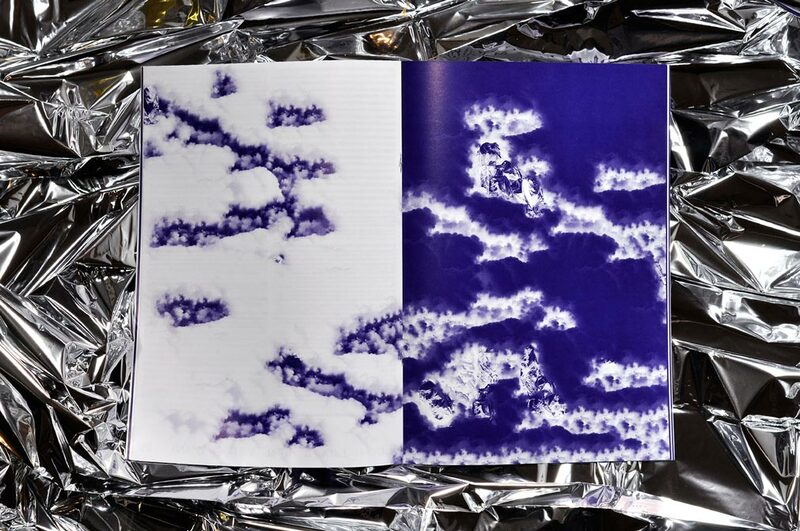 The french part is written in violet-blue on white background and the english part is written in white on violet-blue background with the same images in negative. 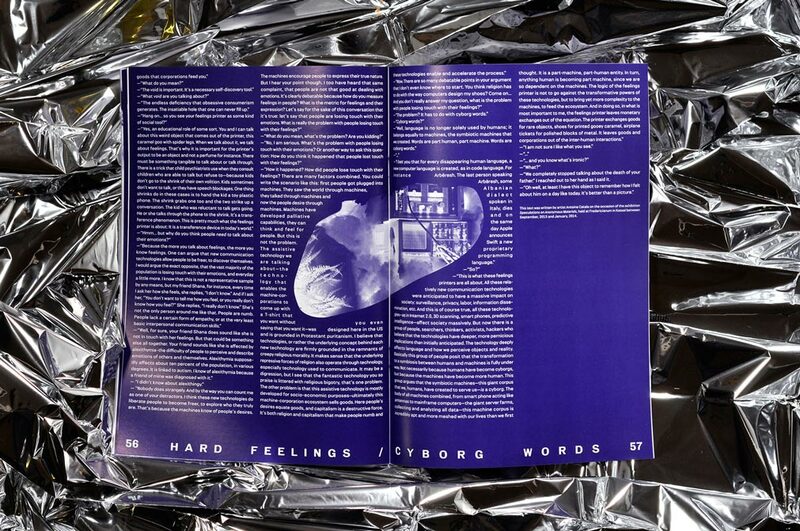 we composed this publication with two fonts from the same family : Minotaur and Minotaur sans of Production Type foundry.